During early September’s atrocious weather, Napier’s continuing water woes became even more evident. Napier City Council (NCC) issued a notification for residents to refrain from taking baths, or flushing toilets for 36 hours on 5 September, as the city’s wastewater system failed to cope with the amount of rain that had fallen almost continuously for 24 hours. 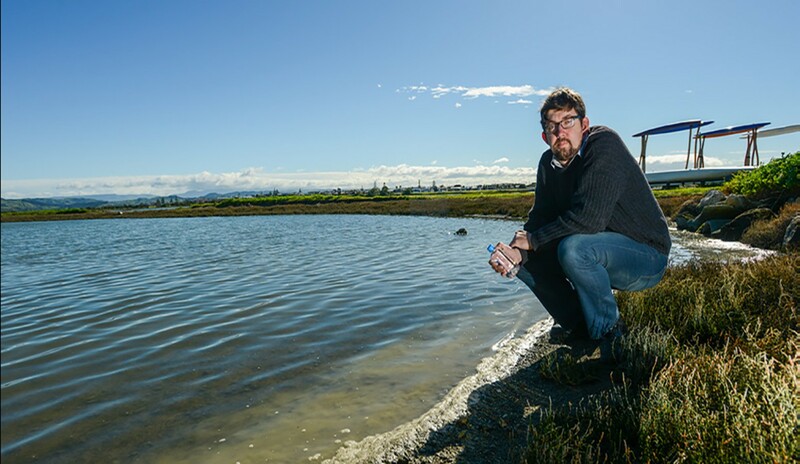 For the second time in less than 18 months, NCC released stormwater and sewage into Napier’s Ahuriri Lagoon, otherwise known as ‘Pandora Pond’ after more than 90mm of rain fell in 24 hours between the 4th and 5th of September. That’s almost twice the average for the entire month of September! Similar events occurred last April, when the tail ends of Cyclones Debbie and Cook successively hit Hawke’s Bay hard and our fair city discharged 2.5 million litres of wastewater into the estuary. In both cases warning signs were erected around the estuary and immediate areas warning against swimming and the collection of seafood due to the public health risk of possible contamination from sewage in the water. Hawke’s Bay Regional Council, the region’s environmental watchdogs, were alerted. “But how does sewage get in the stormwater?” you might rightly ask. Ideally rain falls from the sky onto your roof, into your spouting and into the stormwater system via gutters and stormwater drains and creeks, eventually into rivers and out to sea. Unfortunately some spouting goes into the wrong drains around the house – wastewater drains from bathrooms, showers, laundries, which gets blended with sewage from … um … ‘other drains’. During severe weather events, such as the one we went through, having the wrong pipe going into the wrong drain can greatly increase the amount of wastewater in the system. But Hastings and rural Hawke’s Bay had more rain than Napier did – at one stage I saw a reading of 191mm for HB, 66mm for Hastings and ‘only’ 43mm for Napier in 24 hours. So how come Hastings only started to feel the effects of the severe weather a day or so later, with Porta-loos distributed to some residents in the suburb of Akina, as their stormwater and sewerage systems started to struggle? It could be something to do with Napier being coastal. The seas were certainly huge for most of the week and it would be hard for the water to drain out into Hawke Bay when the sea is doing its best to get back onto the land. It could be the fact Napier is the lowest point in the region, with many areas below sea level. Water naturally runs downhill and it might take a day or so of heavy rain for natural drains to back up the height difference between Napier and Hastings. Or it could be that Napier’s pipe infrastructure just isn’t up to it. It has been known for some time that Napier’s water infrastructure was aging badly and in need of repair soon, if not overdue – our bores, pipes and reservoirs are letting us down. You might remember during the region’s contentious amalgamation debate three years ago that Napier’s infrastructure was a rather large sore point. I was strongly opposed to amalgamation, believing it was promoted merely as a cynical attempt to sell off and/or privatise council departments (like water) and assets. Amalgamationalists claimed Napier’s pipes were in a bad way and would likely cost many millions to repair and replace, while NCC’s vanguard staunchly defended its underground assets. It’s clear that something needs to be done – and urgently! After last year’s rain event and stormwater release the Regional Council said the deluge was a ‘one-in-five-year’ event, but has since escalated that estimate to once-a-year. To its credit, NCC has finally put aside over $20 million for refurbishing its water systems in the coming years, but after almost back-to-back yearly events, and years of constant deferral of investment and replacement to keep rate increases down, could it be too little, too late? Our climate is changing and experts agree the weather is getting more severe, more often. If we don’t do something to counter its effects fast, we face severe safety and public health issues. Hawke’s Bay Regional Council’s regulatory department and some regional councillors have already aired concerns and displeasure with how Napier City Council management has dealt with these recent events. As have Maori leaders. Perhaps we should delay some of NCC’s glamour projects, like the $45 million seafront Aquarium upgrade, until we have the city’s water supplies going in and out safely – for the health of our people and our environment. After all, who will visit the refurbished aquarium if we’re all afloat or too sick to get there? Andrew Frame is a 40-year-old husband, father, and life-long Napier resident. He writes the www.napierinframe.co.nz website and promotes all things HB on social media.